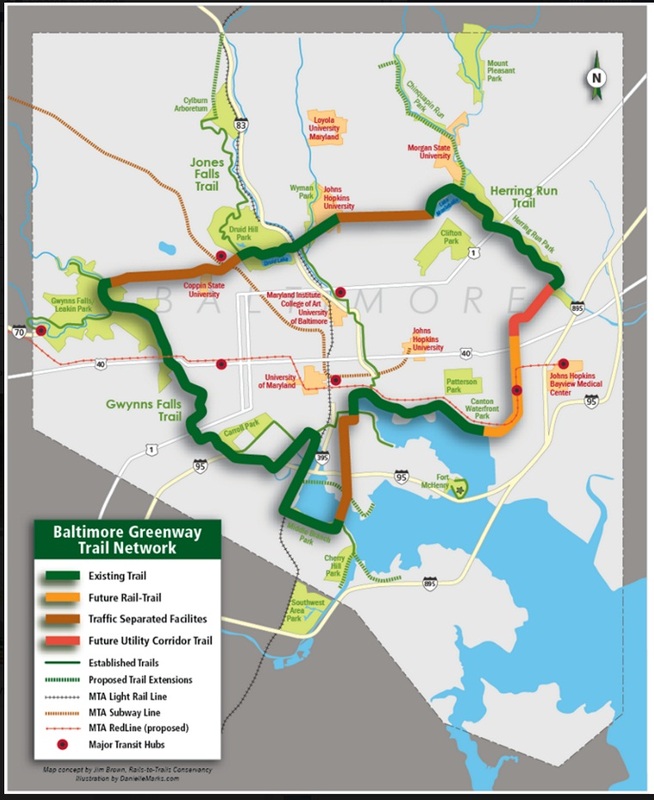 In part I, I championed the East Coast Greenway vision for closing the twenty mile gap between Baltimore City’s northbound Jones Falls Trail and The Torrey C. Brown Trail that scenically traverses its way all the way to York, Pa. Today, I look southward to advocate for a similar opportunity. 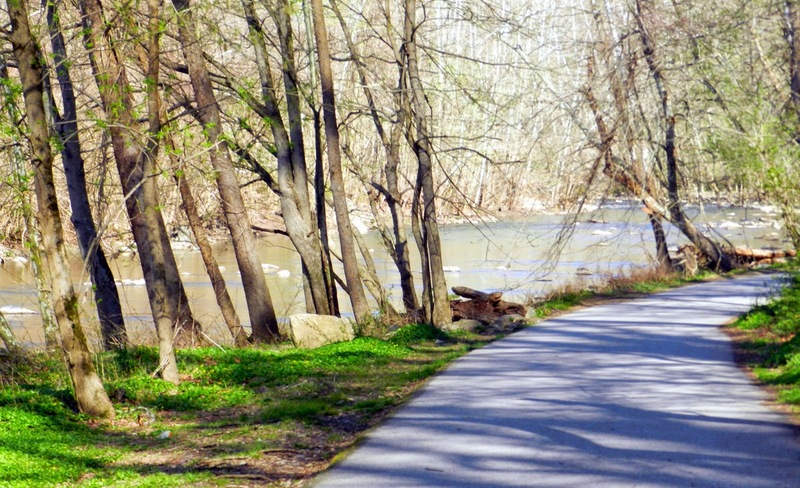 The Baltimore & Annapolis Trail intersects the BWI (airport) loop trail about ten miles south of the end point of Baltimore’s Gwynns Falls Trail. Knitting these collection of trails together would create a ninety mile super trail. Maryland should do it! Size matters, but more importantly the gaps left include some of Maryland’s most densely populated areas and would provide proximate access to hundreds of thousands of Maryland taxpayers. By creating this ten mile link between the trails, Anne Arundel Countians could bicycle into downtown Baltimore to eat, attend events, or commute through the beautiful Patapsco Valley. 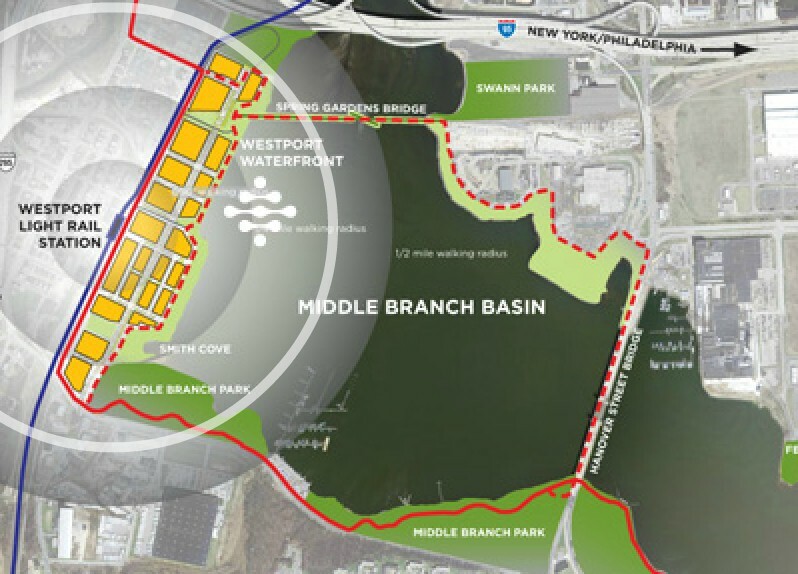 New opportunities to use the Patapsco River for recreation (canoeing, rafting, fishing, swimming) might open up. The Right-of-Way (ROW) looks surprisingly simple. 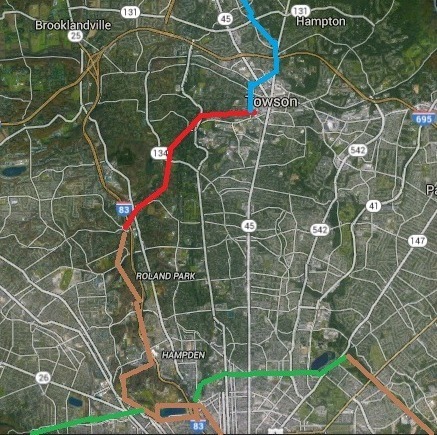 The BWI trail could be extended past the BWI rail station into the Stony Run Valley where it merges into the Deep Run Valley in Elkridge where these tributaries merge into the Patapsco River, which empties into the Middle Branch (and intersects with the Gwynns Falls Trail) Alternatively, the trail could follow parts of the light rail ROW, but this is a less scenic alternative. 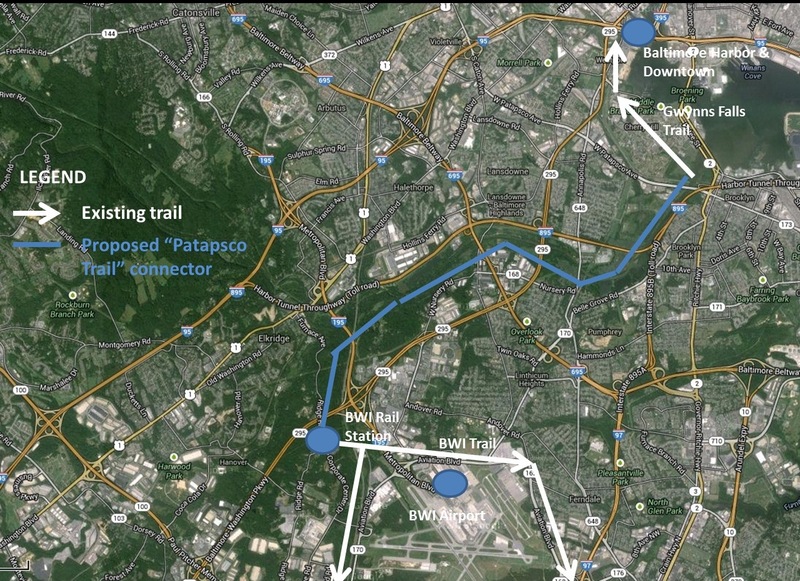 *After the core north south trail spine is built, branches such as a connection with the Grist Mill Trail in Howard County/Ellicott City could begin to create a regional network of connected trails. I am not going to dodge costs. 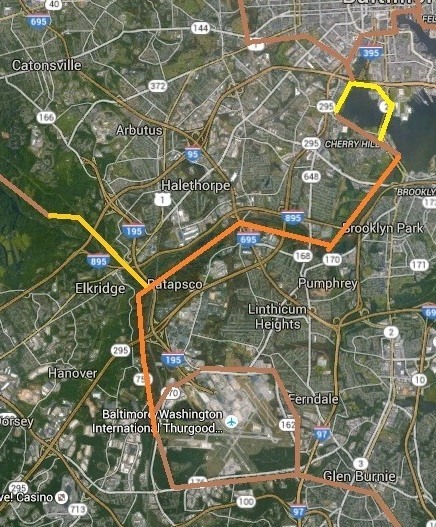 Using the Jones Falls Trail construction numbers as a benchmark, the southern “Patapsco” connector would cost $10 million. The northern (Mt. Washington to Hunt Valley) connector described in part I is about $20 million. Finishing the whole 90 mile enchilada is $30 million in capital expenses. Let’s just say Joe Flacco could build it with one year of his compensation.